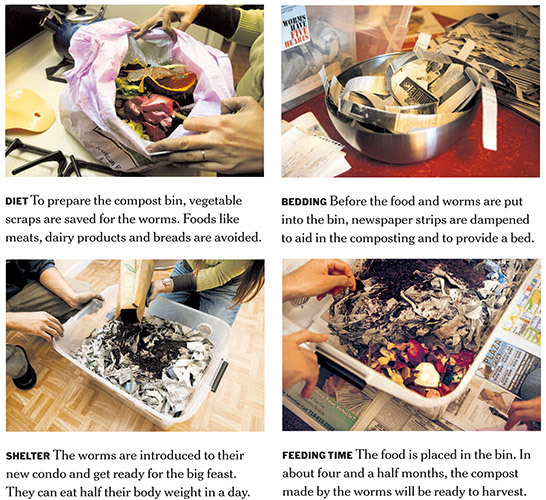 Composting is no longer just for gardeners. A new trend emerging in the U.S. is vermi-composting, a composting technique in which worms speed up the decomposition of organic material by eating it and by excreting their castings. Vermi-composting is primarily utilized by those living in urban environments, many of whom don’t have a yard for a garden. According to the same article, food accounts for about 13 percent of the nation’s trash. There are many benefits to composting. According to the Environmental Protection Agency website, in addition to being used as a soil amendment or as a medium to grow plants, it can also be used to suppress plant diseases or pests, and to promote higher yields of crops, among other things. Reduce, reuse, recycle; your food waste, that is.